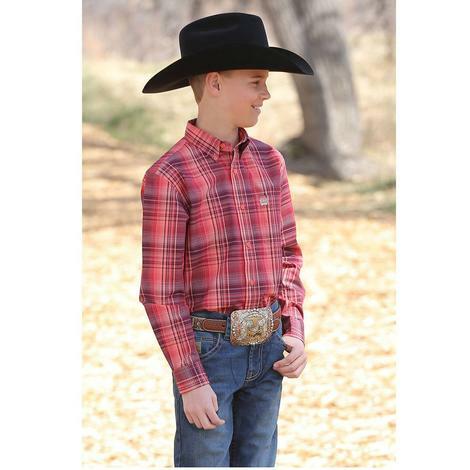 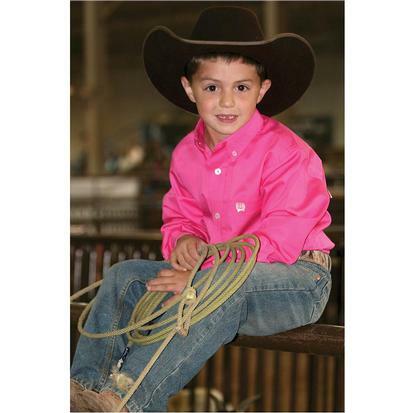 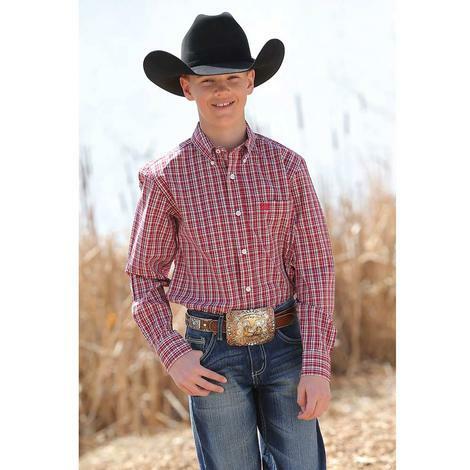 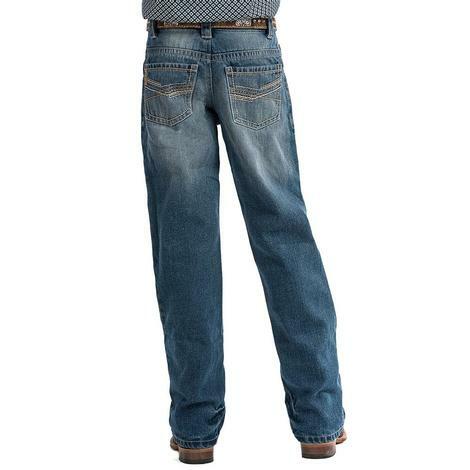 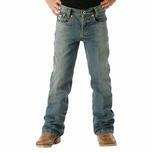 Cinch jeans, constructed with the highest quality denim and are built to withstand everything boys can throw at them. 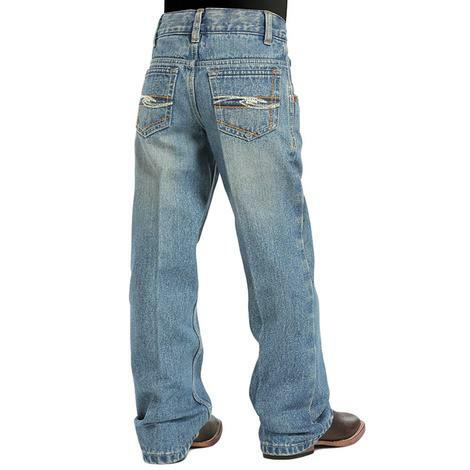 With a relaxed fit and boot cut leg for a comfortable fit these medium stonewash finish with hand sanding and whisker detail, and back pockets complete the look. 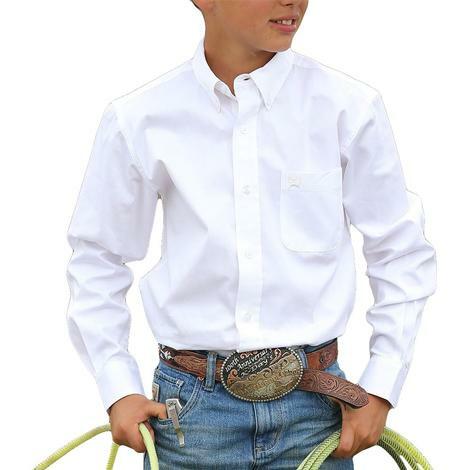 Perfect for school or play. 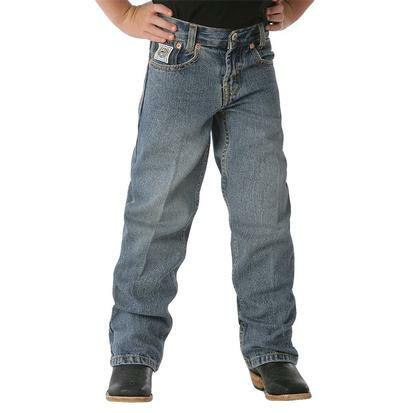 These Original Fit boy's jeans by Cinch feature the classic five pocket styling, a medium wash, and hidden elastic waist adjusters for that perfect fit. 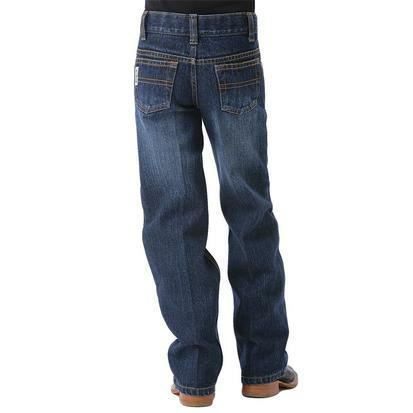 Please go to the Regular Fit for Regular Sizes. 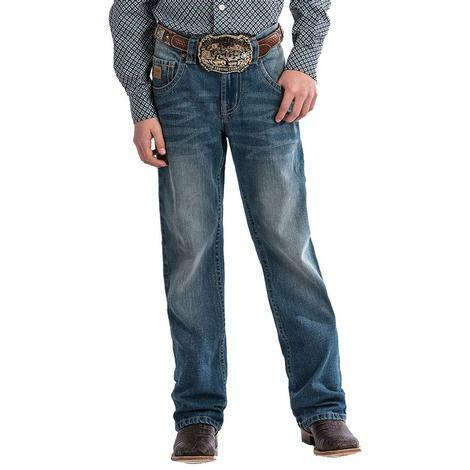 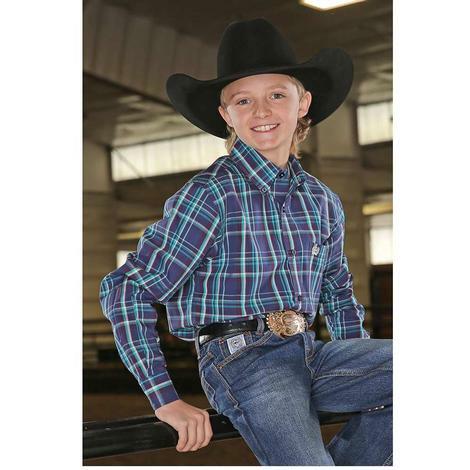 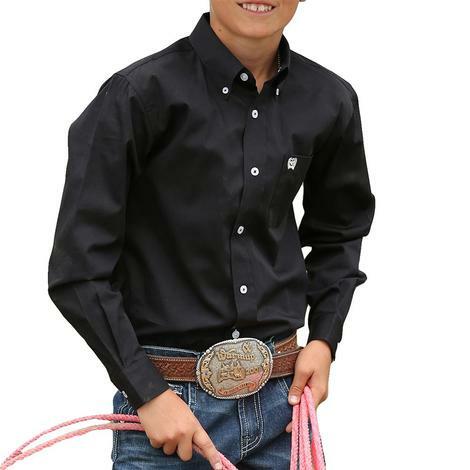 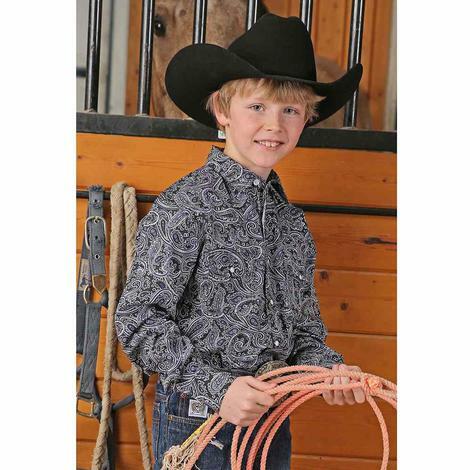 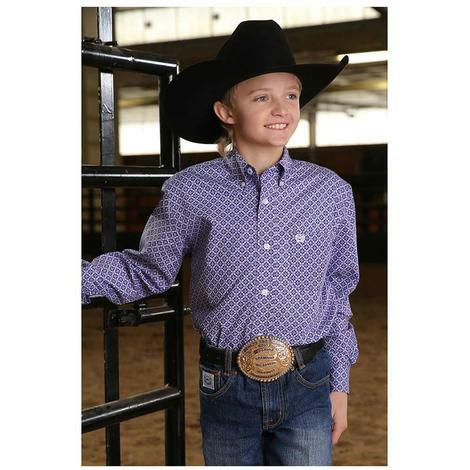 Cinch Boys' White Label Slim Fit Jeans have a clean cut look for school and the show barn that just works. 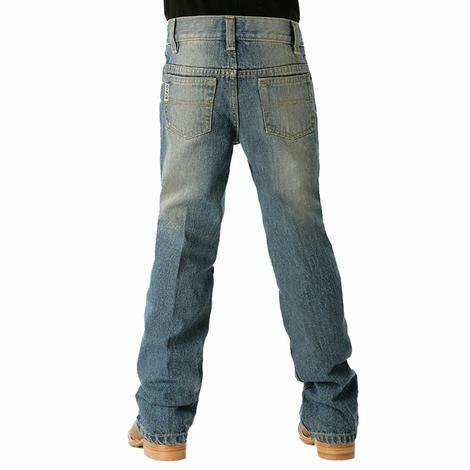 This pair of White labels comes in a slim fit with a low rise and adjustable waist to ensure a tailored look and easy fit. The five-pocket styling is a staple build in a boot cut jean. 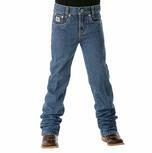 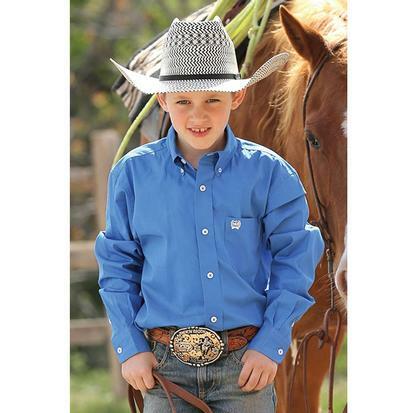 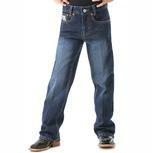 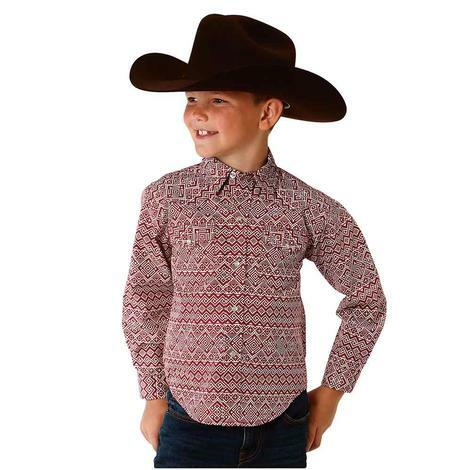 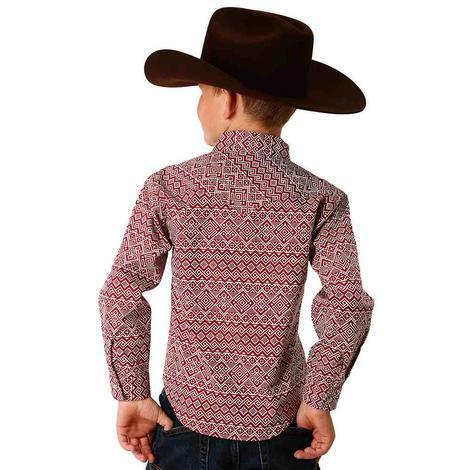 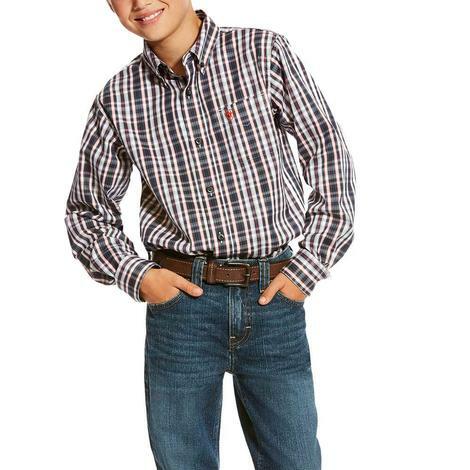 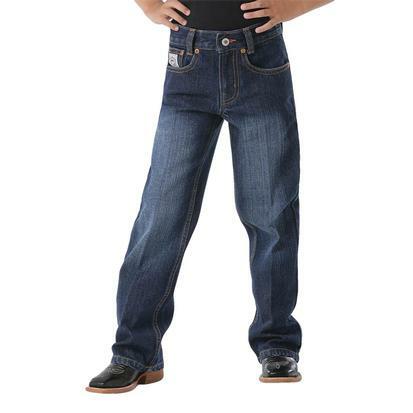 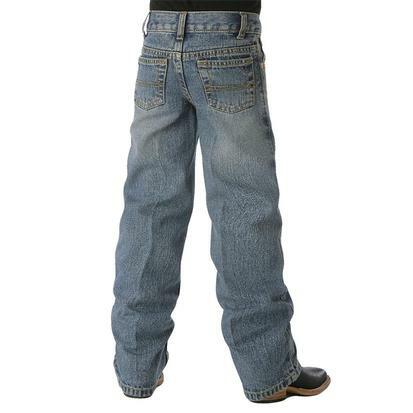 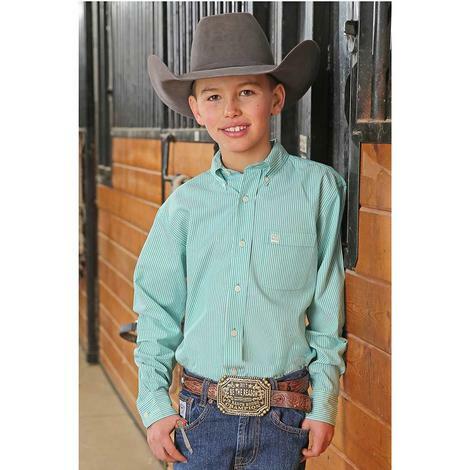 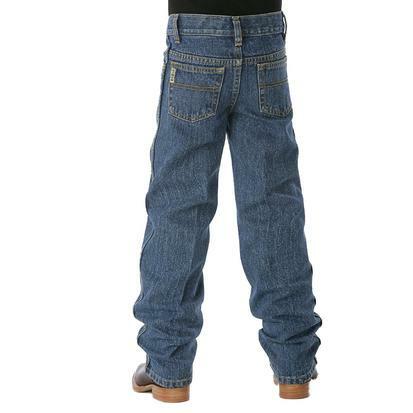 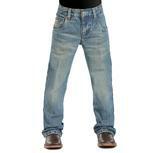 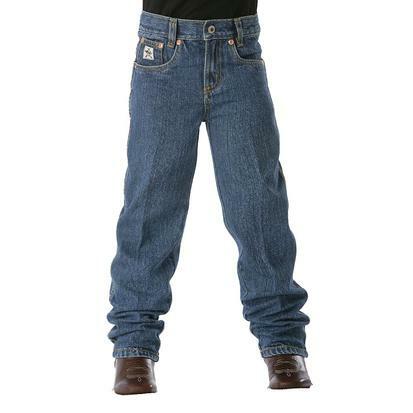 The Original Fit jeans for boys by Cinch are a classic go to for your growing and energetic boys. 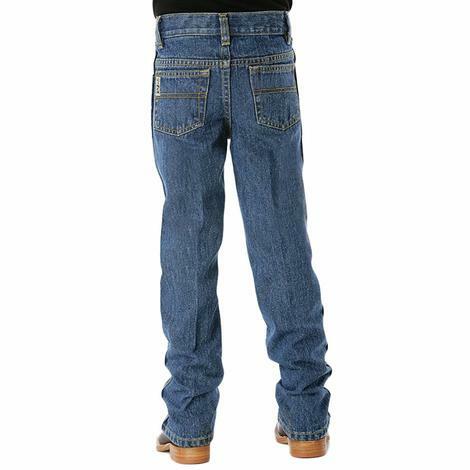 Cinch Boys White Label jeans are made with 12-ounce denim and feature sandblasting, a light stonewash, and an adjustable waistband for that perfect fit.